WASHINGTON: Industry pioneer Ofield Dukes passed away this week in his hometown of Detroit after a battle with bone cancer. He was 79. 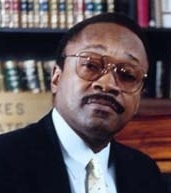 Dukes is fondly remembered for fighting for diversity in public relations among his many achievements in a career that spanned four decades. “Had it not been for Ofield carrying the message of the importance of ethnic diversity, many of us in public relations would have either been too afraid or not passionate enough to speak up,” said Rosanna Fiske, chair and CEO of the Public Relations Society of America. Dukes developed a passion for promoting diversity in the PR industry after watching President Lyndon Johnson sign civil rights measures. He was deputy director of information for the president's Committee on Equal Employment Opportunity at the time. “When you see a president understand the importance of something of this magnitude, you can no longer ignore it,” Fiske said, recalling the story Dukes shared with her about that moment. Dukes led PRSA's first national diversity task force in 2002 and 2003. As part of his work on the task force, which is now a standing PRSA committee, he started a campaign using statistics about the spending power of minorities. Dukes also played a role in Fiske becoming the first Latina CEO in PRSA's history by signing a letter recommending her. He was a mentor to PR professionals of all backgrounds. Wynona Redmond, president of the Black Public Relations Society, said Dukes was a calming force in her life. When she would reach out to him for advice, he never would tell her what to do, but instead ask probing questions to help her figure it out. Dukes won three National Newspaper Publishers Association awards in 1964 while working for the Michigan Chronicle before moving to Washington to join the Johnson administration. He also served on the staff of Vice President Hubert Humphrey before launching his own firm with Motown Records as his first client. He was also an adjunct professor at Howard University for 17 years. Dukes assisted the US Census Bureau in implementing an outreach campaign to boost minority participation in the 1980 census. He also assisted the Department of Navy and the Marine Corps in developing policies and programs for minority recruitment. US Rep. Charles Rangel (D-NY) recalled that Dukes helped to found the Congressional Black Caucus Foundation, where he was instrumental in developing strategies for fundraising. “Ofield was simply a true and kind person who sought to make our country a better place for all. I will forever miss his virtue, justness, and sincerity,” Rangel said in a statement.